Retail is one of the most innovative industries out there. In recent years, one of the most interesting changes to hit the industry has been Electronic Shelf Labels (ESLs). These “electronic” versions of price tags use e-ink to display a price and are connected to a computer database. This makes changing in-store prices as easy as typing a new price into the software and clicking “send”. These price tags have numerous benefits for retailers. But ultimately, the greatest advantages are the ability to engage in real-time dynamic pricing in-store and build an omnichannel experience to enhance customer loyalty. Interested in learning more about the benefits of these price tags? Here are 5 reasons brick-and-mortar retailers should consider the investment. The internet has completely transformed how people shop, and it’s not uncommon for consumers to price check an item while they’re standing in a store. 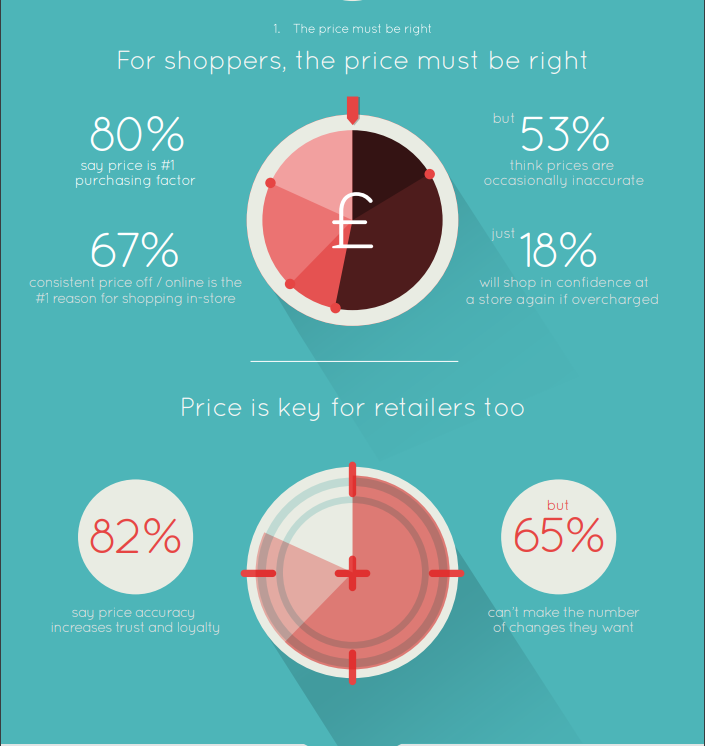 Shoppers lose trust in a company if the in-store prices don’t align with the online display, and unfortunately this is often the reality they encounter. ESLs, however, completely change that interaction. With one standardized pricing system, your customers won’t be disappointed by price differences anymore. Instead, your company can immediately reflect any online price change in-store. ESLs also allow you to align your promotion prices, audit trails for your headquarter to check changes, and fix any pricing errors. Each of these keeps your prices accurate across the board and ensures your customers see your optimal price. The shelf edge is one of the most important sales influencers. Most purchases are made at this point — so you want to make sure your pricing information is accurate. 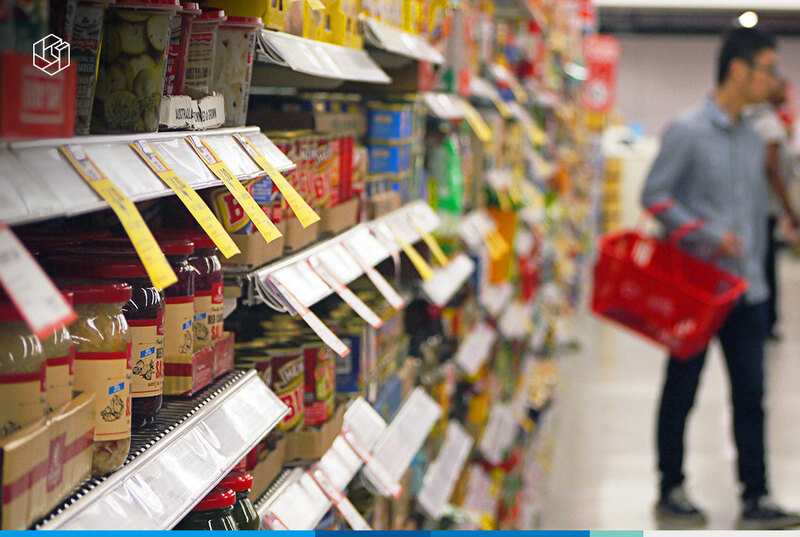 With paper labels, changing pricing information is prone to human error. It’s also a slow process, and by the time you finish re-labeling, prices might have changed again online. With ESLs though, these changes are easy, so you can capture more sales at the shelf edge. You can react competitively to price changes, enable instant promotions, track what promotions work, and protect margins on time-sensitive stock. You can even create offers based on where a specific customer is standing in the store with just a few clicks. It’s no secret that omnichannel is the future of retail. According to Planet Retail, 56% of consumers feel that technology improves their shopping experiences. And these are just a few examples of the opportunities! Here’s the thing: ESLs do require an initial investment. And if you’re unsure about whether you will use them, it’s understandable why you might be skeptical of moving forward with the technology. Easy to use: Most ESL softwares are easy to use and learn. Just drag and drop the information you’d like to display and you’re done! After installation, your employees no longer need to monitor the price tags each day. The centralized system makes it easy for one person to control all pricing changes on the shop floor. According to DisplayData, the payback for ESLs is high. The company reports in-store sales typically increase by 6%, with a typical margin increase of 2%-3%. Creating an innovative omnichannel experience is all about connecting stores and online. And the shelf edge is no exception. Retailers should carefully consider this key moment in the omnichannel buyer’s journey and recognize that electronic shelf labeling is one of the easiest ways to connect the two domains. Omnia can easily connect to ESL systems like DisplayData, which allows you to create a cohesive omnichannel experience based on the most up-to-date pricing and marketing information. Want to learn more? Get in touch with Omnia today. Click the button below to sign up for a demo and one of our consultants will be in touch.